Remember when the term Zippo was synonymous with lighter? When we were younger we always envied the older kids in the smoking pit who casually flipped open and closed their silver Zippo while we fumbled with our ugly disposable Bic lighter. Well those days are over and smoking is slowly becoming a thing of the past in many parts of the world so what is a company to do? Start an outdoor line and launch the best and most versatile tool ever conceived. 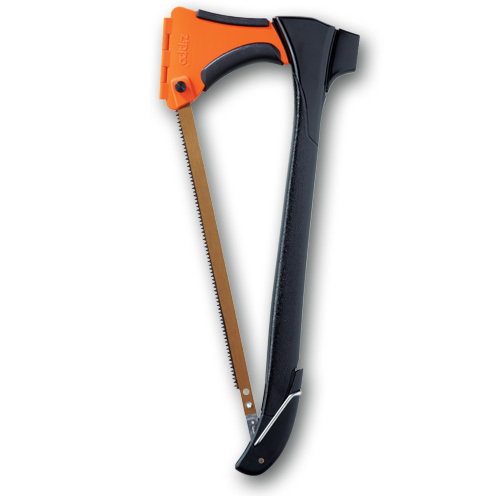 The Woodsman is a bow saw, a mallet, a stake puller and a hatchet so basically your one survival tool worth bringing with you when you camp or when you head to the hills when the zombie apocalypse begins. Coming soon to a dealer near you.